I am Lee Yunseok, creator of YGGDRASIL STUDIO. We've participated in the IndieGala Hump Day Steam Bundle #39, and our participation title is Discouraged Workers TEEN. I hope this bundle promotion and the next Steam Summer Sale will be our last financing for the remake. So today, I briefly write down here the information about this bundle on IndieDB. If you are interested in our title or other developer titles by reading this article, please consider purchasing this bundle. 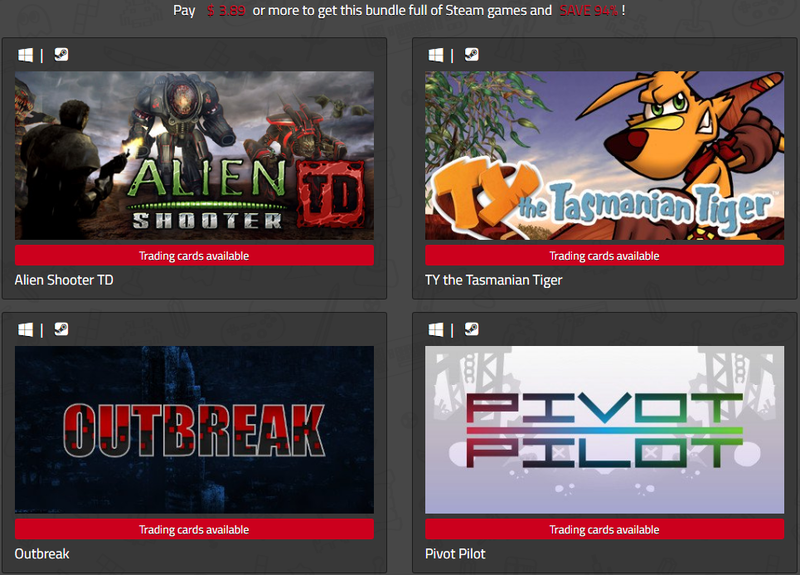 IndieGala Hump Day Steam Bundle #39 set to start on 24th of May and run for 21 days. Pay $1.0 or more to get three Steam games, and pay $3.89 or more to get this bundle full of Steam games and SAVE 94%! For many years naturalists have been portraying the natural world, and now we can create a self-contained biological world. The organisms(style and movement) are generated by particular mathematical(trigonometric functions) codes, all based on points. You decided to go and check it, but it would be better if you stayed at home... Someone resurrected the forgotten nightmare and now you are his next prey. Alien Shooter TD by Sigma Team Inc.
G'day Mate. Are you ready to explore the wilds of the Australian Outback in this remastered version of the classic game, TY the Tasmanian Tiger? Join TY on a RIPPER of an adventure to free his family from the Dreaming, through 17 levels of the Australian Outback, in their old-school 3D platforming glory! Explore a nightmarish environment, scrounge for supplies, and battle the undead in Outbreak -- an online co-op/offline survival horror game. The clock never stops as you attempt to manage an extremely limited inventory with a murderous horde on the hunt. Choose between acquiring additional weapons, healing items, or necessary tools for progression. You have only one life. Make it count! During the game player’s step into the shoes of Max, a ten year old boy who must find ways to deal with everyday life while being diagnosed with an autism spectrum disorder (ASD). Many players will discover a world familiar but alien to them. Some may relate to Max's story all too well. Regardless where you fall in the spectrum of life, Max, an Autistic Journey delivers an entertaining, imaginative and informative trip worth taking. 『Discouraged Workers TEEN』 is an indie kinetic novel created by YGGDRASIL STUDIO. This is the fifth in the Project DW series, a satirical story based on the popular Korean soap operas-styled plot. It compares Ga-yeon’s bleak everyday life to the dark side of youth. Wordlase is a word-puzzle game. You need to compile words from the letters of offered one. For example, you can make words "ant" and "potion" from the letters of "interpolation". But you can't assemble "mol" since there is no "m" letter.